Massage therapy is a holistic approach to health care that not only provides relief from physical ailments, but also relaxes and revitalizes the body and mind. Chinese rub equipment stimulates the circulatory system and the nervous system. It provides relief from chronic pain and improves the strength and flexibility of the various parts of the body. Regular rub can also halt the progress of many degenerative muscular diseases. The equipment also stimulates the immune system and increases the strength and resilience of the body. It can also be used to treat injuries and bruises and facilitates the removal of scar tissue. Athletes and sportspersons can use the equipment to recover from sports injuries and improve their performance. The benefits are not only physical, but also relax and re-energize the mind. It's also an excellent way of removing all the accumulated stress and tension from the body and mind. Effective at relaxing shoulder/neck muscles and easing aches and pains. Suitable for mid/lower back, abdominal, calf and thigh. Light and portable equipment wherever you are, at home or in the office. Relief pain due to musculoskeletal injuries and other causes. Reduce state of anxiety, a transient measure of anxiety in a given situation. It stimulates immune system by increasing peripheral blood lymphocytes (PBLs). 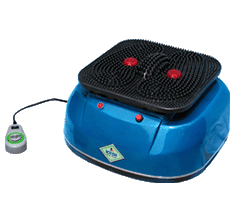 Foot massager is a Chinese traditional medicinal treasure. There is a famous Chinese saying “human being foot is like tree root, if root die, the tree will die; if foot is weak, human being will be sick”. Chinese regards the foot is the second heart of human being. It's a self-healthcare suitable for everyone, even after your first treatment, you will feel rejuvenated and relaxed. The massage will increase blood supply to the rest of the body, it will ease pressure, reduce fatigue. African people always wear sandal, while the feet are being exposed to the sun, rain, dust, bacteria and virus and being apt to the hurt, infected. So the feet need to be taken care of. Our foot equipment is specially designed for African people. Foot reflexology is meant to increase the health and well being in the whole body. It is based on the idea that all nerve zones begin in the feet, foot reflexology is thought to cure many ailments. By massaging certain areas of the foot, and applying certain pressures and strokes to particular areas, a practitioner of reflex zone therapy can provide many benefits. Gives you a total body rub with a sophisticated system. 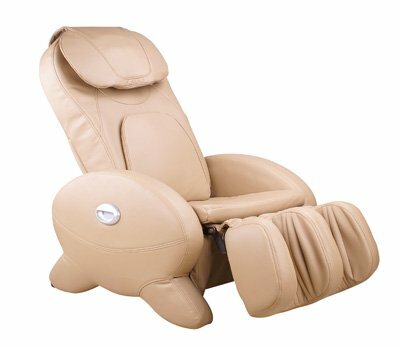 You can order for any of our Chinese massagers to enjoy good health. We sell member price to encourage patronage and membership after you have result that our equipment works. The prices are stated above excluding cost of delivery. We offer prompt delivery of the product using courier services for between N1,000 and N10,000 within Lagos. Delivery cost with transportation to respective park cost between N1,000 - N1,500 depend on your location. Delivery with EMS courier service cost between N1,500 - N2,500.